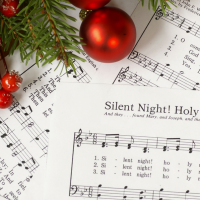 Make a joyful noise unto the Lord by singing some of your favorite Advent and Christmas hymns. Learn fun carol facts and histories too. Robin Shockney and Beth Aiello will be your choirmistresses. Ages 11 and up.